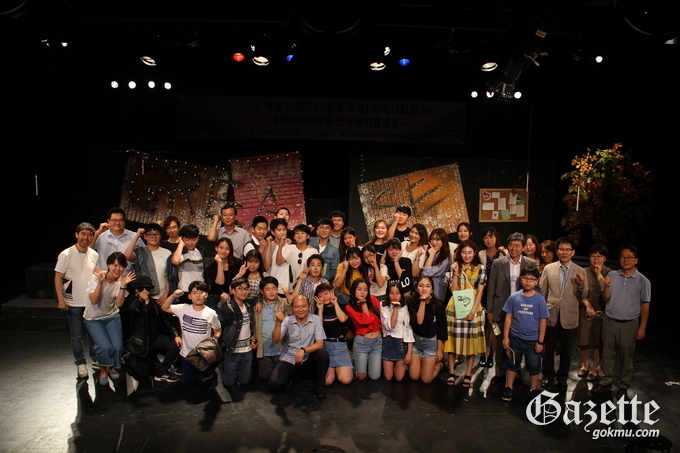 Keimyung University is currently operating the Keimyung LINC + Creative School and has committed to leading the effort to foster experts in the local performing arts field. The Keimyung LINC + Creation School was led by professors and university students at KMU and was offered to 20 students from Gachang Middle School from July 23 to 27. The acting classes were held in the morning and singing and dancing classes continued in the afternoon. On the final day of the festival, students performed the musical Greece with the audience including participation from the parents in attendance. Despite having only five days of training, the students received a standing ovation from the about 50 spectators after perfectly performing the play.